A Parenting Coordinator (or “PC”) is a person appointed by the court to help high-conflict families where parents cannot agree on things like daycare, schools, extra-curricular activities, schedules, transportation, child exchanges, holidays, religious observations, a child’s appearance, discipline, health issues, or problem behaviors. A Parenting Coordinator’s job is to help parents focus on the best interests of their children and develop cooperative problem-solving skills. The scope of a PC’s authority is determined by the court. Most PCs have the power to resolve parental disputes by issuing a binding recommendation when parents cannot agree. Some PCs are authorized to manage healthcare issues for the family, including mental health services. The ultimate goal of Parenting Coordination is to get parents to the point where they can cooperatively make decisions for the welfare of their children. 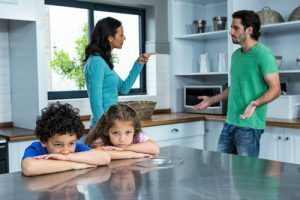 Our attorneys are trained Parenting Coordinators who understand the impact that parental conflict has on children. When serving as a PC, we use our child development knowledge, training, and mediation skills to improve parental communication and provide tools and techniques that reduce conflict. Our PC’s meet the professional qualifications for Parenting Coordinators established by the Association of Family and Conciliation Courts (AFCC).